Does your family have a bad habit of whining? Maybe it started innocently enough when your kids were toddlers, but now it’s out of control? Or, maybe you just want to nip whining in the bud before it becomes a big issue! 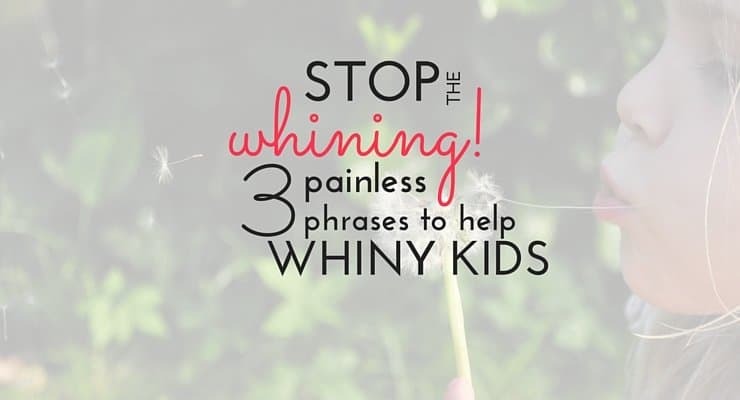 I’ve got three simple phrases to help your kids stop whining. Disclaimer: This post contains affiliate links. Of course I only recommend products I know and love! I’ve got a fire-cracker of a two-year old boy. He’s at 110% energy until his head hits the pillow at night. He’s all boy, and he rough and tough, smart and headstrong. 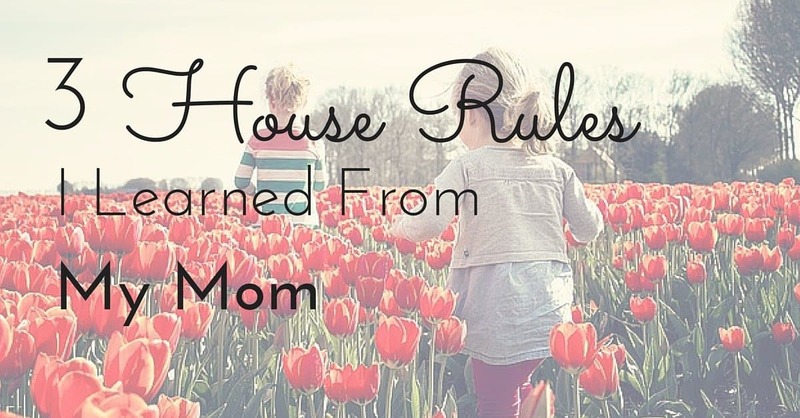 We certainly deal with other discipline issues in our house, but can I tell you a secret? We’ve never had any real trouble with whining. Sure, if he’s sleepy, sick, or hungry (ahem, especially hungry) he will slip into whiny mode from time to time. But, it’s never been a major issue in our house. I’d really like to tell you this is because of my own parenting genius, but I’ll be honest and confess that this is all due to a few practical tips from my mom. 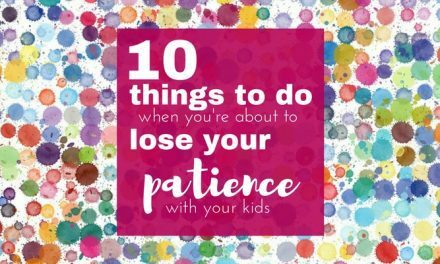 When my son started talking and began to use that whining tone of voice, my mom showed me a few short and sweet phrases to stop whining in its tracks. I want to share her super simple and effective strategy with you today! 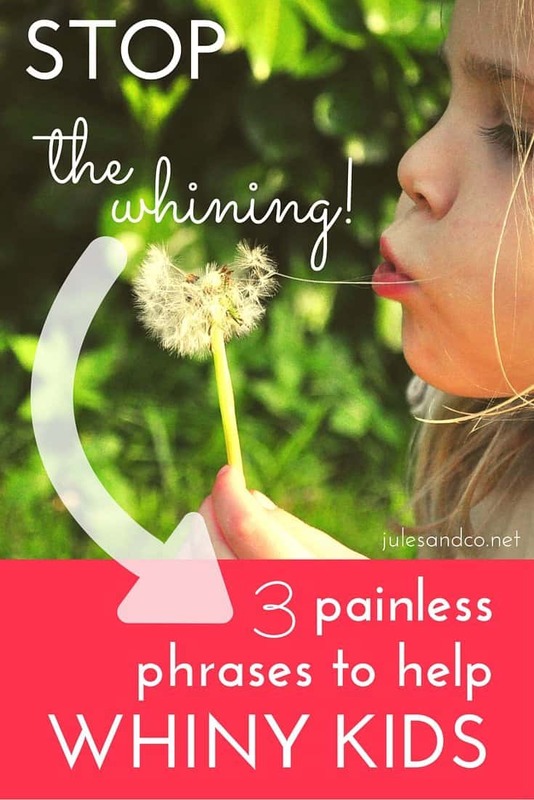 Help your kids to stop whining with these three simple parenting phrases! You and I both know that you most definitely CAN hear that whiny voice. In fact, a whiny voice usually cuts through the air at an alarmingly high decibel. It’s time to be intentional. Keep your cool, mama! This phrase is all about assuming your responsibility as the parent. Put the focus on what you are going to do or not do. You will not listen or respond to whining. 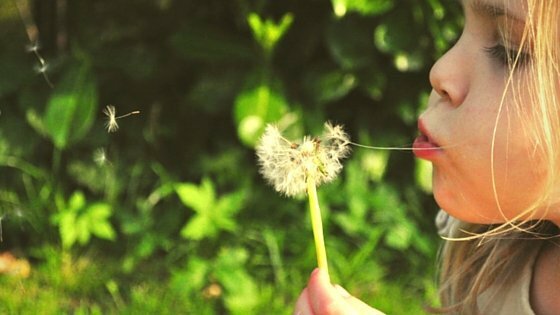 Can you always control the way your kids act? Probably not. But, you can control how you respond. Some moms declare that the best strategy to stop your kids from whining is to ignore it. Maybe this works for a few of the lucky ones, but in my world this just means that my little guy keeps whining until he thinks I’m listening. The whining gets louder and louder. Whiny-er and whiny-er. Ignoring whining just doesn’t work for us! Instead of ignoring, I simply use this one-liner: “I can’t hear you when you use that voice.” This simple phrase communicates two things to your kids. One. I’m not ignoring you. Two. But, I don’t respond to that tone of voice. In the first phrase you made you kid aware of the problem. This second phrase gives them an opportunity to solve the problem. It puts the ball back in their court. “Try that again.” This means that you want your child to make the request again using a more cheerful or respectful tone of voice. Now, let’s be honest. There will be times when your kids don’t make the necessary improvements. Remember, you’re an intentional mama. You have a plan! Just repeat that first phrase again firmly and calmly, then ask your child to try that again. If he still won’t obey, it’s time for a consequence. For little ones, they sometimes need to be taught how to respond physically, which in turn helps them adjust their emotional response. I’ll often tell my little guy “Chin up, and say it with a happy heart!” He started to fall into a bad habit of sticking his chin down and looking up at me with a glower. They call it “cutting eyes” here in the South. Ooh, no thank you! Teaching him how to keep his chin up when he speaks to adults is a physical reminder to help him try the response again in a more respectful manner. Am I a mean mama? Maybe. But I’m raising a man, not a boy. I have a feeling you’re raising your children to be leaders too! If you’re consistent, I promise this will work! So, now your child has not only recognized the problem of whining, he’s taken action to stop whining and communicate respectfully! What happens now? Your kids deserve respect in return. It’s time to show how proud you are with specific words of affirmation. This phrase demonstrates to your child that yes, you had faith in him all along! Rebuild those emotional bridges and set a precedent. Your kids will soon learn that respectful and polite conversation is more enjoyable and meaningful for everyone. Are you ready to put and end to whining in your house? Try these simple phrases to stop whining in its tracks. The key, as always, is consistency. Make up your mind today to be intentional about addressing the bad habit of whining. You are about to make a lasting impact on your kids, and it doesn’t get any better than that! 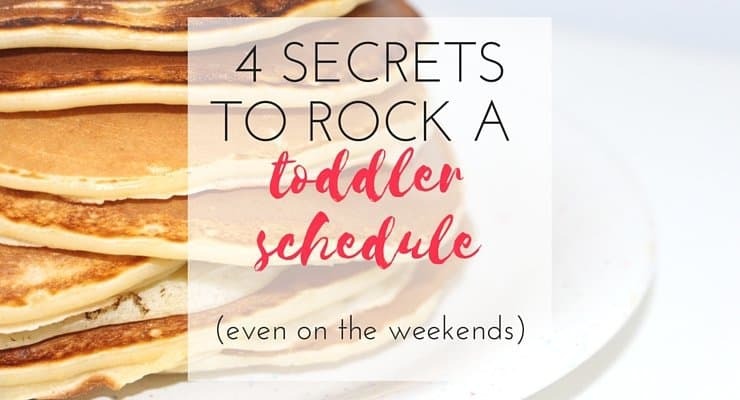 I want to share another resource with you, one that could seriously change the way you schedule your day, maybe even change the way you parent. My eBook, Light a Fire: A Mom’s Guide to Raising Lifelong Learners is an awesome resource for moms like you. If you’re like me, you want your kids be creative and curious. You want them to love living and learning. In this eBook, I give you all the tools you need to make that happen for your family. From birth to high school, I’ve gathered the key ingredients necessary to raise kids who have a thirst for knowledge. Now, doesn’t that sound tantalizing? Imagine having kids who aren’t glued to the screen all day. Imagine having preteens who take interest in something besides texting. Imagine having teenagers who have passions plus real goals for their lives. Are you in? 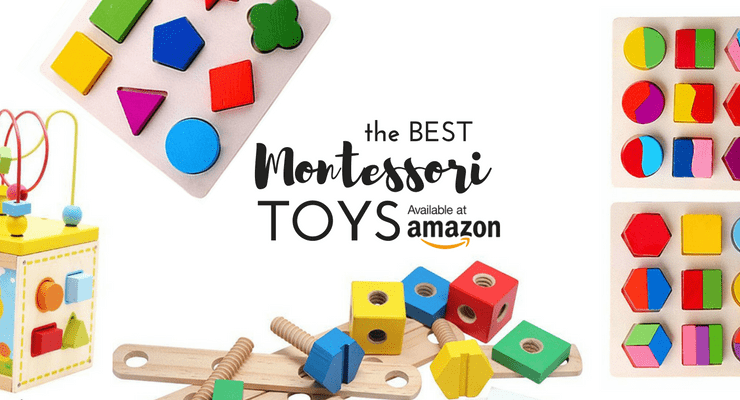 Click here to learn more about this resource.